Giacomo Agostini, 15 times Grand Prix world motorcycling champion, celebrates his 74th birthday today. Born on this day in 1942 in Brescia, Agostini moved with his family to the lakeside town of Lovere when he was 13 and his career is being commemorated with a month-long exhibition at the Accademia Tadini, which overlooks the picturesque Lago d'Iseo. The exhibition is timed to coincide with the 50th anniversary of Agostini's first world championship in 1966. Riding for the Italian MV Agusta team, Agostini won the 500cc class seven times in a row from 1966 to 1972 and the 350cc class seven times in succession from 1968 to 1974, adding a further 500cc title on a Yamaha in 1975. His total of 122 Grand Prix wins from 1965 to 1976 is the highest by any rider in the history of the sport, although his fellow Italian, 37-year-old Valentino Rossi, is now only eight behind on 114 following his victory in the Catalan GP on June 5. Agostini, considered perhaps the greatest motorcycle racer of all time, was at the peak of his powers between 1967 and 1970. In 1967, he won an epic duel with his former MV Agusta teammate, Britain's Mike Hailwood, who was riding for Honda. They were tied on five race wins each going into the final GP of the season in Canada, where Hailwood won, with his rival second. That meant they were tied on points and wins, but Agostini had a greater number of second place finishes and so he was crowned champion. 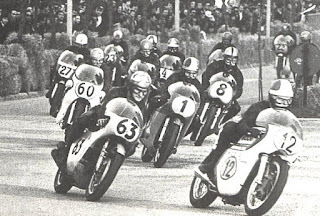 For the next three seasons, after Hailwood left motorcycle racing to race cars, Agostini dominated, winning every race in which he competed in 350cc and 500cc classes, equalling Hailwood's record for most wins in a single year in 1970 when he was first in 19 races. 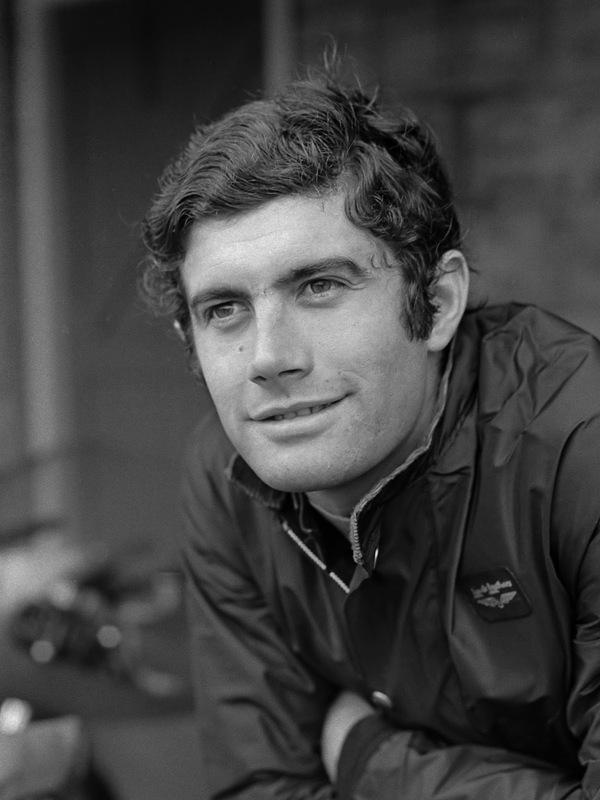 Agostini also won 10 races at the Isle of Man TT, the most by any non-British rider. It might have been more but he decided to quit TT racing in 1972 after his close friend, Gilberto Parlotti, was killed during the event. 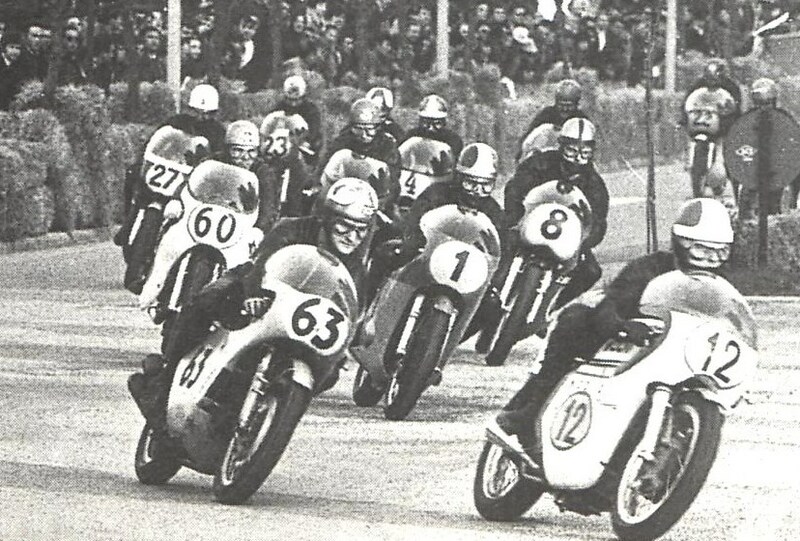 Giacomo Agostini (No 1) in action at Riccione in 1969. His great rival Mike Hailwood is No 63. The only Italian to win the prestigious Daytona 200 race in America - he was victorious in 1974 - Agostini retired in 1977 at the age of 35 after competing in the 1977 British GP at Silverstone. He had a season driving in Formula One cars for Williams in 1980 but then switched to management, where he enjoyed more success. As team manager for Marlboro Yamaha, he won three 500cc world titles with the Californian rider Eddie Lawson. Agostini also managed for Cagiva and Honda before retiring in 1995. The eldest of four brothers, Giacomo Agostini was only 11 when he rode a moped for the first time and knew immediately he wanted to race motorcycles. His father Aurelio, a local government employee in Lovere, wanted him to become an accountant but allowed him to pursue his dream after seeking counsel from a lawyer who was a family friend. The lawyer told him he thought sport would be good for Giacomo's character and only later did Aurelio find out that his friend had misunderstood him and believed Giacomo wanted to take up cycling. His mother, Maria Vittoria, ensured that when he raced he always carried in his helmet a medal showing the image of Pope John XXIII, who hailed from Sotto il Monte, a small village which, like Lovere, is in the Lombardy province of Bergamo. Visitors can also admire - in Lovere's Piazza XIII Martiri - an artwork featuring one of Agostini's bikes by the Milan architect Mauro Piantelli entitled "Of the Brave and his Steed". Brescia is a town of great artistic and architectural importance with Roman remains and well-preserved Renaissance buildings. Next to the 17th century Duomo is an older cathedral, the unusually shaped Duomo Vecchio, also known as la Rotonda. 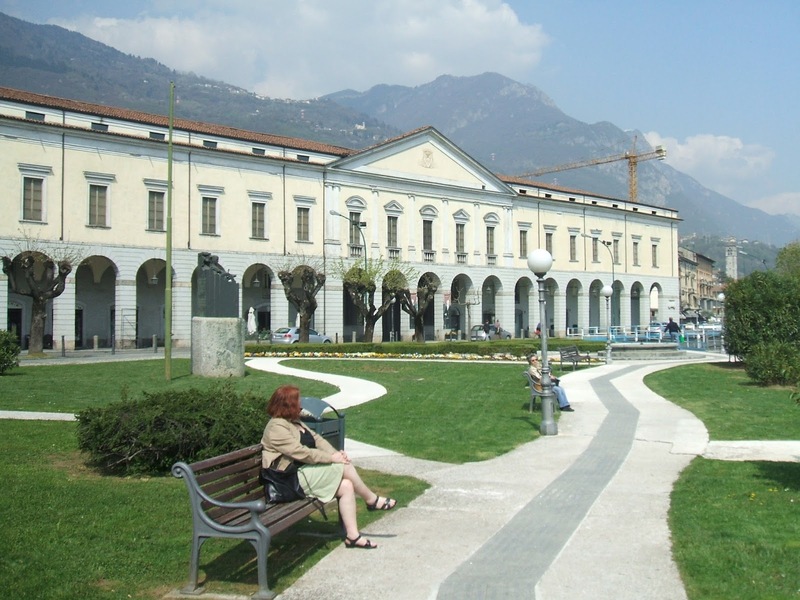 The Santa Giulia Museo della Citta covers more than 3000 years of Brescia’s history, housed within the Benedictine Nunnery of San Salvatore and Santa Giulia in Via Musei. Lovere is the largest town on the western shore of Lago d’Iseo and has wonderful views of the top of the lake with its dramatic backdrop of mountains. Art lovers will be interested in the classical Palazzo Tadini, which looks out over the lake from Via Tadini and is home to Accademia Tadini, one of the most important art galleries in Italy. The church of Santa Maria in Valvendra has some 16th century frescoes and the church of San Giorgio, which is built into a medieval tower, contains an important work by Palma il Giovane. You can take the boat from Lovere over to Pisogne on the eastern shore of the lake. The landing stage adjoins Piazza XIII Martiri.